achieve an Egyptian/Arabic look and feel in your performances. 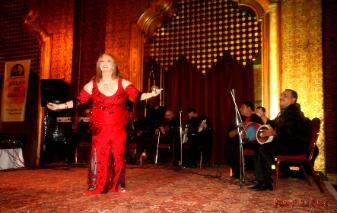 language, gestures and expressions appropriate to the different layers of Arabic music. way an Egyptian or other Arab dancer would improvise. typical structure of most dance songs and compositions. 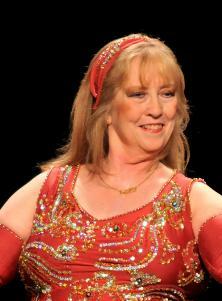 How to modify your moves for raqs sharqi, folklore and shaabi styles. Rhythms for dancers and how to improve zill playing to coordinate with the musicians. Arabic words and phrases useful for dancers to know. 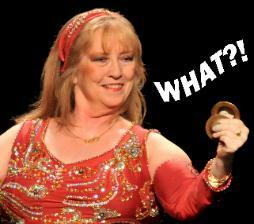 How do native Arabs react to Leyla’s performances? Habibi, You Are My WHAT?! Do you wonder what Arabic singers are singing about? 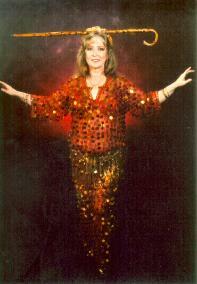 Do you wonder how to interpret Arabic songs to your audience? this fun, informative workshop is for you. the tone and emotion of Arabic songs and how to express them to your audience. You'll have everyone, even Arabs, wondering where and how you learned Arabic! you insights into two other favorites. losing either the music or the dance. a knot when you dance? Do you know a "malfouf" from an "ayoub," a "balady"
from a "maqsoum," or a "maqsoum" from a "Saidi"? names in Arabic, and how to differentiate them from one another. returned to Cairo to teach it every year since 2006. Do you know what kind of music is appropriate for cane dance? How to pick a cane up or put it down on stage? How to balance a cane on your head (or anything else)? stage or into your audience? choreography using Egyptian Saidi, Balady and Ghawazee movements. on "Contact" for booking information.